Welcome to Day 5 of Pumpkin Week! We're winding down Pumpkin Week and I know that I've been throwing a lot of dessert at you, but in the best kind of way! Today and tomorrow we are going to take a little bit of a break from desserts and have a little more of a healthy treat! This weekend I made a huge batch on Pumpkin Granola so that we can have them as part of our breakfasts or for our snacks. Usually when Joe and I get home, we munch on chips or any other goodies to hold us over before dinner. Funny how I never used to do that before I moved in! Or bought chips. Hmm. Anyway, we've been snacking on this granola all week and it is a healthier alternative to greasy chips or other store-bought processed food. This makes a nice big batch that will last you a week or two. Eat it dry, top it with some milk, top your yogurt with it, whatever your heart desires! 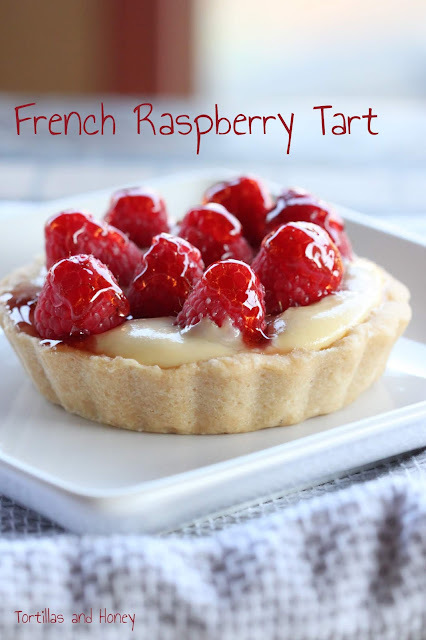 This is a great recipe with so many different flavors and textures. This truly is a wonderful fall treat! Come back tomorrow and see what I do with the granola! In a large mixing bowl, combine pumpkin puree, peanut butter, honey, brown sugar, canola/vegetable oil, molasses, vanilla, cinnamon, pumpkin pie spice, cloves, ginger, nutmeg, salt, and whisk until mixture is smooth and combined. Add the oats and stir to coat. Transfer mixture to prepared baking sheet and spread it uniformly and keep it piled loosely; don’t pack it down. It will take up the entire surface of a standard-sized large baking sheet. Bake for about 20 minutes. Remove granola from the oven and stir and fluff it up. Add the cranberries and pepitas and stir to incorporate and disperse them. Keep the mixture piled loosely and and bake for another 20 to 25 minutes, or until edge pieces of granola have browned and crisped, even if center pieces are less well done, which is okay because granola will harden up considerably more while it cools. If you prefer extra crunchy granola, you wish to bake for closer to 30 minutes on this second round but take care not to burn it, which becomes a bit tricky to judge well-done from burnt because the mixture is inherently brown and gets browner during baking. Allow granola to cool before sprinkling with white chocolate chips and stir to disperse them. Transfer granola to a gallon-sized ziptop food storage bag or into an airtight container. Granola will keep for at least 2 weeks at room temperature in an airtight ziptop bag or container.